DRS Technical Services Inc. (DRS) has agreed to pay $13.7 million to settle allegations that it violated the False Claims Act by knowingly overbilling the government for work performed by DRS personnel who lacked the job qualifications required by the contract, the Justice Department announced today. DRS is located in Herndon, Virginia, and is a subsidiary of DRS Defense Solutions LLC. DRS designs, integrates, operates and maintains satellite and wireless network solutions and telecommunication services and security systems for government and private sector customers. DRS C3 & Aviation Company, which is headquartered in Gaithersburg, Maryland, is an indirect subsidiary of DRS and provides services to government agencies, including aircraft maintenance, logistics and depot support, and engineering support. Between March 2003 and Dec. 31, 2012, DRS and its predecessors were awarded time and materials contracts for services and supplies to be provided to the Army’s Communication and Electronics Command (CECOM) in Iraq and Afghanistan, and to the Coast Guard for aircraft maintenance. The alleged labor mischarging occurred on the Rapid Response or “R2” contract issued by the U.S. Army Communication and Electronics Command (CECOM) located at the Aberdeen Proving Ground in Maryland. The U.S. Army used the R2 contract to purchase a variety of goods and services needed to support U.S. forces in Iraq, Afghanistan and elsewhere on a quick turnaround basis. The settlement also resolves labor mischarging on a similar U.S. Coast Guard contract. The government contends that from Jan. 1, 2003, to Dec. 31, 2012, DRS billed CECOM for work performed by individuals whose job qualifications did not meet all the qualifications prescribed by the contracts for the labor categories under which their efforts were billed, thereby falsely increasing the amount of money DRS claimed and CECOM paid. Similarly, from Dec. 19, 2009, to Dec. 18, 2011, the government contends that DRS charged the Coast Guard’s Aviation Logistics Center for work performed by individuals whose job qualifications did not meet the qualifications prescribed by the contract, again, thereby inflating the cost of the services provided. “Companies that submit false bills to the government must be held accountable,” said U.S. Attorney Rod J. Rosenstein for the District of Maryland. 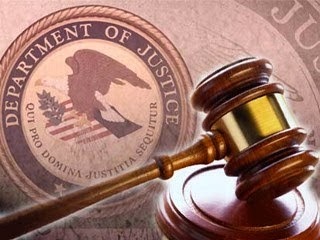 The settlement was the result of a coordinated effort by the U.S. Attorney’s Office for the District of Maryland, the Civil Division, the Defense Contract Audit Agency, the Army’s Criminal Investigative Command’s MPFU and the Department of Defense Office of Inspector General’s Defense Criminal Investigative Service.